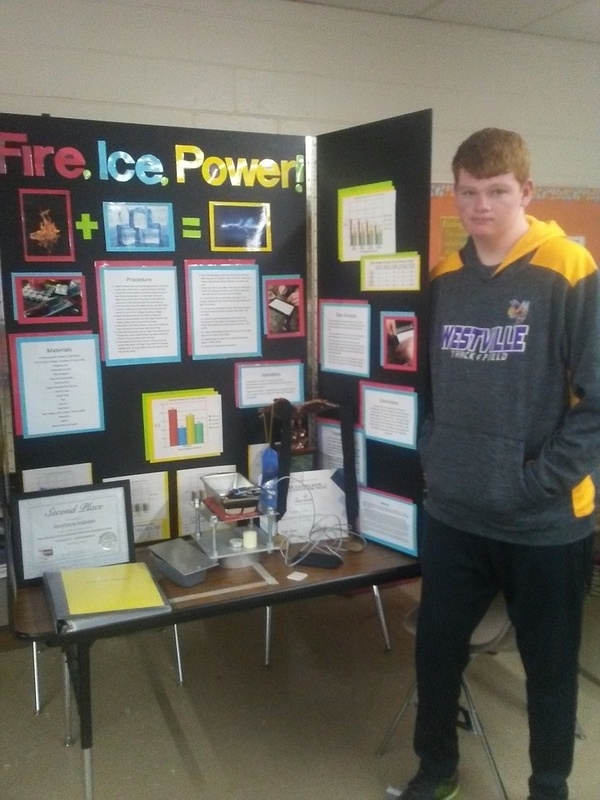 The AISES National American Indian Science and Engineering Fair (NAISEF) in-person science fair took place April 6 in Stillwater, Oklahoma at Oklahoma State University. The event is a pre-college program of the American Indian Science and Engineering Society, where American Indian students in 5th through 12th grade present science and engineering research. The fair supports American Indian students in discovering, pursuing and sustaining interest in STEM. Westville student Hayden Faddis is a member of Westville AISES and was awarded 2nd place in the Jr Division, competing against students from Oklahoma, South Dakota, Washington, California, and Arizona. Also, competing in the Sr Division was Westville AISES vice president, Keysha Kindle. We are proud of these students for all their hard work. Good job Hayden and Keysha!